Time, and a key design improvement, have changed my early opinion of this smoke-alarm battery. Update: The Roost Smart Battery is now available for sale. You can read my hands-on review here. I didn’t have the highest opinion of the Roost Smart Battery when I wrote about it last October. 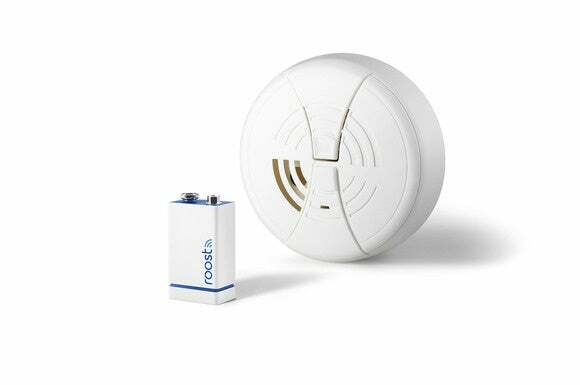 The 9-volt battery will send a warning to your smartphone when it senses that the smoke or carbon-monoxide detector it’s installed in sounds off. It can also tell you when the battery itself is weak, long before the device starts chirping. And as far as that goes, it’s the same story that I got last fall. But the Roost you can preorder today (for delivery in September) is a much better product than that. Here’s the key design change that won me over: The product I saw nine months ago was a completely disposable $35 battery. At the end of its five-year useful life, you’d toss the whole thing and replace it. The battery that will be delivered in September comes in two pieces. You’ll still (hopefully) recycle the Lithium battery portion, but not before detaching the module containing the tiny Wi-Fi radio. Now you’ll need to spend only $15 to replace the battery, which you’ll reattach to the module you retained. 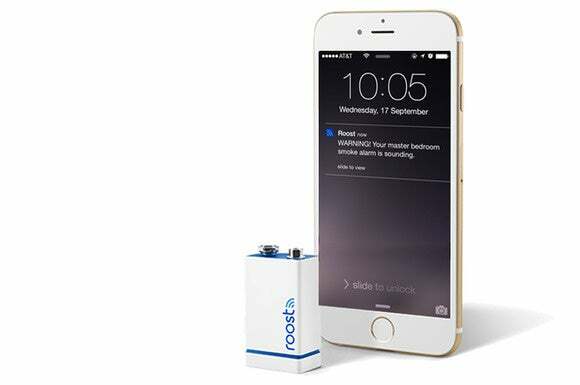 A Roost Smart Battery can be used with both old-fashioned battery-operated smoke and CO detectors, or it can act as a backup battery for AC-powered models. And that’s one of four advantages it offers over the Leeo Smart Nightlight that started shipping the same week the Roost was announced. If your power goes out before a fire starts or your furnace malfunctions and spews carbon monoxide into your home, a Roost can still warn you (provided your Wi-Fi router and Internet gateway are connected to an uninterruptible power supply, that is). Leeo wouldn’t be able to warn you because it doesn’t have a battery backup (although you could plug it into a UPS). The Roost Smart Battery will send you a text message if the alarm it’s powering sounds off. The Roost’s second advantage, as I mentioned above, is that it will inform you of its own failure long before it actually dies—no more chirping detectors waking you up at 3 a.m. And because you identify each Roost when you set it up (using the name of the room it’s installed in would be the best strategy), you’ll no longer need to wander from room to room trying to discern which battery needs to be replaced. The third promised advantage is that the Roost will work inside any type of detector that’s outfitted with a loud siren and is powered by a 9-volt battery, so you can use it with a water-leak sensor as well. Where the Leeo uses an onboard microphone to listen for the specific frequencies of smoke and CO detector sirens, the Roost relies on a piezo-electric sensor. Any very loud sound in close proximity deforms the sensor, triggering a text message to be sent to your designated contacts (via Wi-Fi to your router, and from there to the Internet to your phone). The final advantage over the Leeo is that if you generate a false alarm burning something in the oven or on the stove, one touch of a button on the Roost smartphone app will “snooze” the alarm by temporarily turning the battery off (this only works with battery-powered detectors, of course, not AC-powered models). I’ve pointed out a number of features that make the Roost sound better than the Leeo, but please don’t consider this article as a head-to-head review of those two products The Leeo is available today, but I’m relying on Roost to learn what its device is capable of. Having said that, I already know of a couple of features that the Leeo offers that the Roost can’t match, with the Leeo’s nightlight obviously topping of the list. What’s more, the two products could be considered complementary rather than mutually exclusive. Roost completed a successful Kickstarter campaign last December, raising nearly $97,000 against a goal of $50,000. If you’re interested, you can preorder the battery from Amazon.com today for $35 ($65 for a two-pack). The company expects to deliver the finished product in September. We’ll have a full hands-on review shortly thereafter.